The Pennsylvania Gaming Control Board today announced that it has scheduled a public hearing on Monday, July 31 for the purpose of receiving additional evidence regarding the ownership of Stadium Casino, LLC which had previously been selected by the board to be awarded the second Philadelphia casino license. The hearing is in response to a June 20 opinion by the Pennsylvania Supreme Court in relation to appeals of the Board’s licensing decision. The court agreed with the Board on two key issues raised in the appeal, but remanded to the board for the taking of additional evidence in order for the Board to make a determination whether Stadium Casino, LLC principal Watche Manoukian, who holds a controlling interest in the license for the Bensalem-based Parx Casino, possesses a financial interest in the proposed Stadium Casino, LLC project that would exceed the 33 percent ownership cap in a second casino as provided by the Pennsylvania Race Horse Development and Gaming Act. The hearing, which will begin at 2 p.m., will be held in the Board’s Public Hearing Room on the second floor of Strawberry Square in Harrisburg, The hearing will be streamed live on the Board’s web site, gamingcontrolboard.pa.gov. The board has awarded a Category 2 license to Stadium Casino in November 2014 to permit the operation of a casino at 900 Packer Ave. Live! 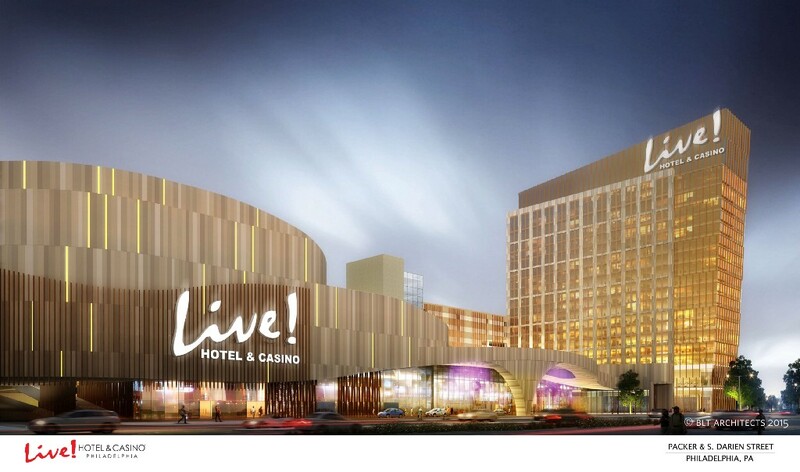 Hotel and Casino is a joint venture between Greenwood Gaming & Entertainment, LP, and the Cordish Companies, which operates Xfinity LIVE! at the sports complex.